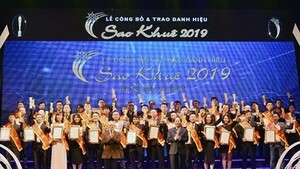 Ca Tre, or Clarias Catfish, in Phu Quoc Island off the Mekong Delta Province of Kien Giang has been acknowledged universally with a scientific name. The Ca Tre species has been given the scientific name Clarias gracilentus Ng, Dang & Nguyen. Kien Giang Province's Department of Science and Technology has signed an agreement to provide more than VND200 million (US$ 9,500) for study and research of the new species for breeding. The new species of Ca Tre survives and flourishes in fresh water rivulets on Phu Quoc Island. They are more fierce and agile than other specimens of their species, but their numbers are small because of locals' fishing.